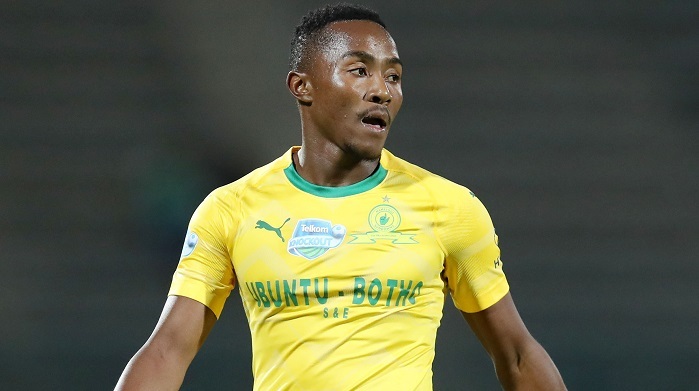 Mamelodi Sundowns youngster Lebohang Maboe believes that his confidence in his ability has been the reason behind his seamless integration into both the Downs side and the Bafana Bafana squad, writes DEAN WORKMAN. The 24-year-old arrived at Chloorkop at the beginning of the season after impressing at Maritzburg United in the 2017-18 campaign. The forward was a key component in the Team of Choice side that achieved their highest-ever league finish, while he also played a starring role in their run to the final of the Nedbank Cup. Maboe has hit the ground running with the Brazilians, featuring in 11 of their fixtures across all competitions so far, scoring two goals and providing one assist. The forward has also received call-ups by Stuart Baxter to every single Bafana squad since his arrival at Chloorkop. Speaking to the media ahead of his side’s Telkom Knockout quarter-final clash against Baroka, Maboe admitted that his belief in his ability is the reason why he has managed to make the necessary adjustment so quickly. ‘It’s about the belief one has in themselves,’ said Maboe. ‘I believe in myself, I believe in my ability, I believe I’m a very special player. ‘It also goes hand-in-hand with working hard, working hard both on and off the field,’ concluded the Bafana Bafana international.